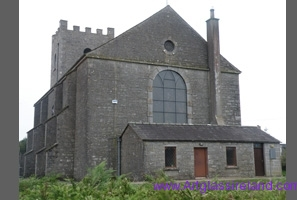 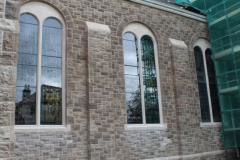 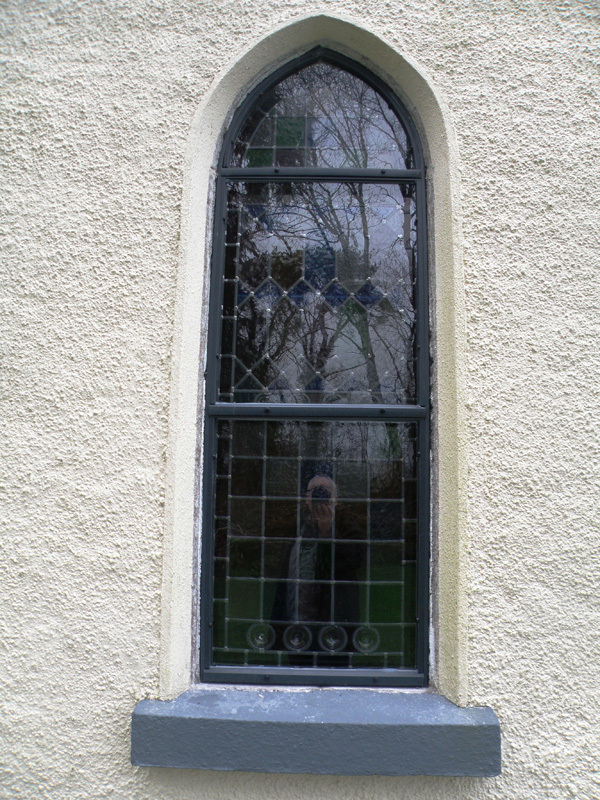 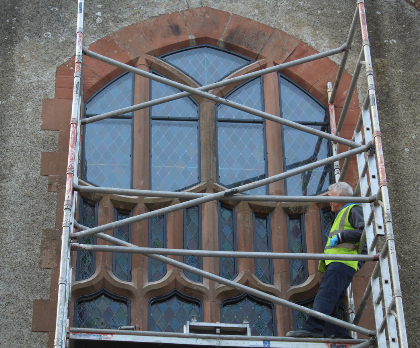 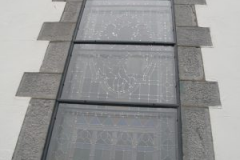 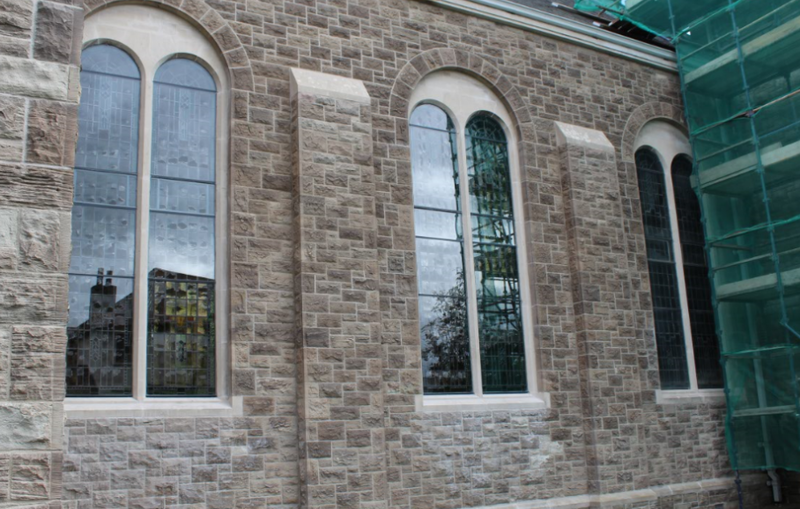 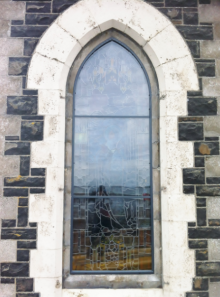 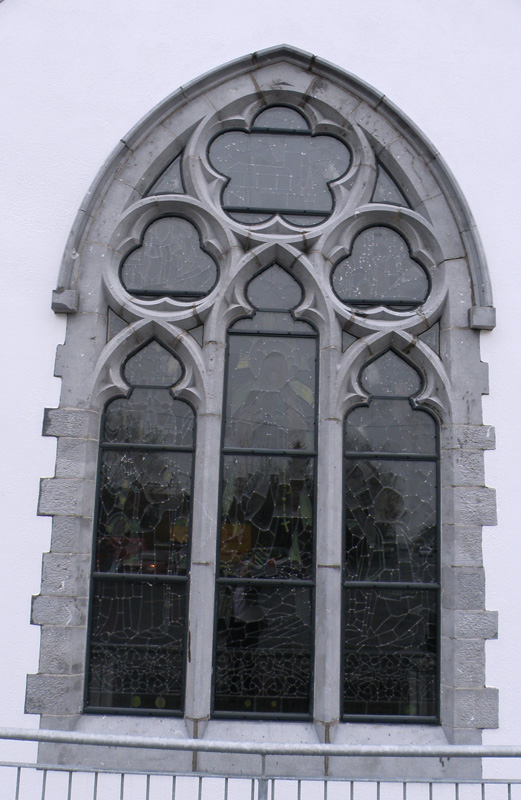 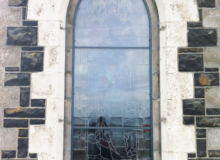 Not only does Art glass have over 35 years of experience in the repair and restoration of existing stained glass windows, but they are also the leaders in supplying the correct protective covering solution for your building, our in house fabricated storm glazing system has been supplied across Ireland and the UK. 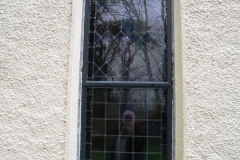 Left unchecked the growth of molds and algae will cause organic damage. 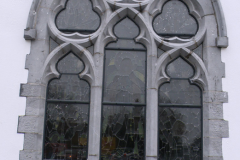 microorganisms will create organic acids that attack the stained glass, oxidize the lead and metal frames and rot wooden frames. 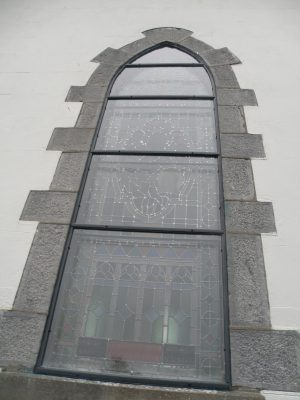 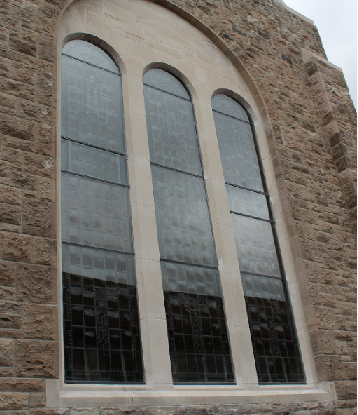 Moisture within a building will facilitate the deterioration of the interior painted surface of stained glass due to the action of condensation on the glass. 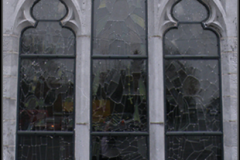 When glass is the primary glazing barrier it will be affected by exposure to differences in temperature over time, this will have a negative effect on the painted glass and enamels these sources of damage are generally referred to as environmental damage, The temperature changes will dislodge and weaken the putty by expansion and contraction cycles. 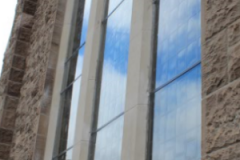 Over the years we have seen the detrimental effects that non or insufficiently ventilated protective glazing systems have caused, by creating an environment which has trapped humidity causing condensation. 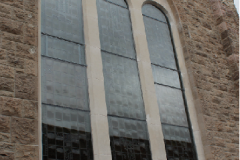 please see our Replacing obsolete protective glazing systems. 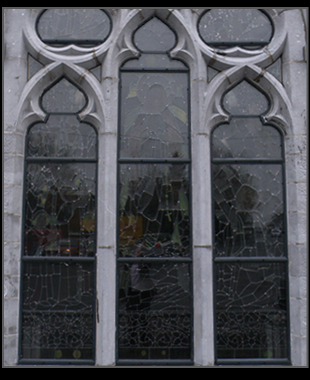 page for examples of these situations. 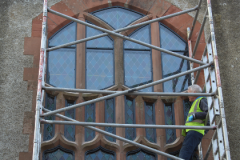 At Art glass we conduct an expert survey report, to exclaim each building and condition of stained glass we we will provide our knowledge and best practice for individual projects before any work is agreed to be undertaken.